Books like to dress up for Halloween too. Check out these five classics that came to the costume party disguised as different genres. 1. To Kill a Mockingbird. In this Polish edition of Harper Lee’s classic, Boo Radley holds Scout and Jem hostage in the Radley House of Horrors. He gives them twenty-four hours to escape, using only chewing gum, twine, Indian-head pennies, and miniature soap sculptures. 2. Charlie and the Chocolate Factory. Roald Dahl’s updated children’s novel includes an exposé of children’s beauty pageants. This limited-edition paperback includes a new foreword by Honey Boo Boo, exploring the dangers of behaviorist coaching methods such as rewarding success with candy. 3. Night and Day. 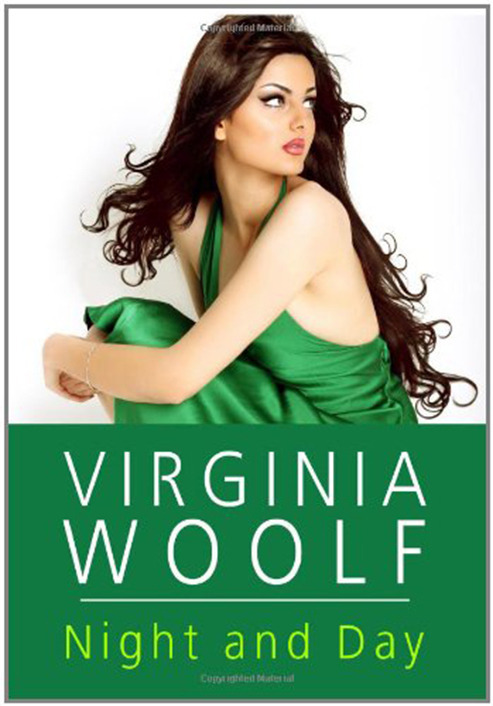 Virginia Woolf scraps Edwardian England and women’s suffrage in favor of high school drama. Katharine Hilbery can’t decide who she wants to go to prom with, but ultimately gets signed by a talent agent, moves to Los Angeles, and models for department store catalogs. 4. The Hobbit. J. R. R. Tolkein writes about the experience of a young boy who overcomes bullying by walking on air, causing his schoolmates to embrace high-water pants and hairy feet. 5. Brave New World. Dystopian societies are too depressing, so for Halloween, Aldous Huxley’s novel dresses up as a Greek myth. In this edition, two demi-gods escape mortality by weaving clouds into loincloths and floating to the top of Mount Olympus.